If you are a new user of Windows 10, you may face some problem with file explorer. And here are solutions you do for it on Windows 10. How to Change Windows Explorer Default Folder in Windows 10? How to Add Control Panel to Windows 10 File Explorer? 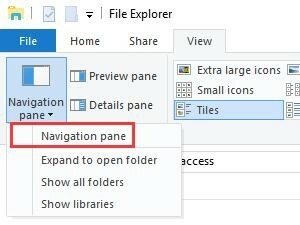 How to Hide the Navigation Pane in Windows 10 File Explorer? 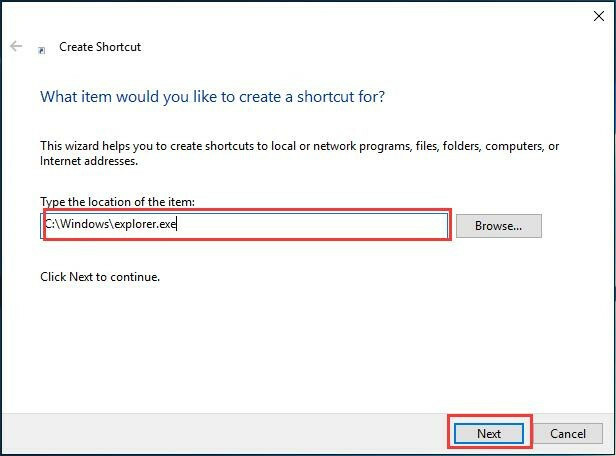 Step 1: Locate your cursor on the desktop and right-click to choose New, and then select Shortcut. Step 2: In the textbox, type C:\Windows\explorer.exe, and then click Next. 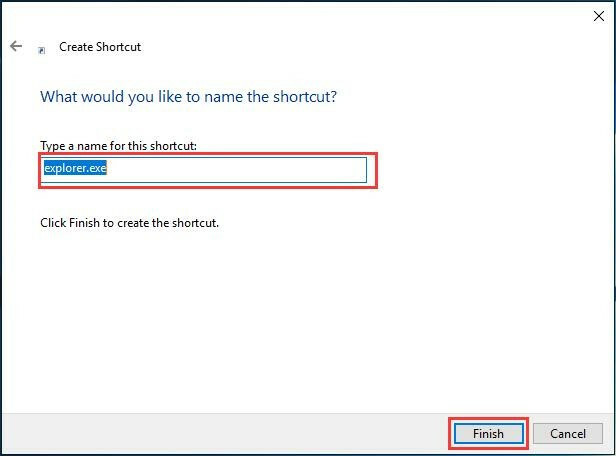 Step 3: Type a name for the shortcut or just leave it as explorer.exe, and then click Finish. 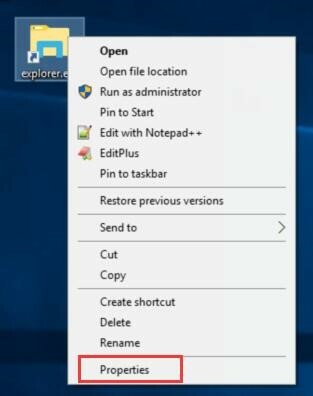 See a new folder is created on your desktop now and follow next steps to set it as the default folder for Explorer in your PC. Step 4: Locate the explorer.exe folder and right-click to find Properties, and then click it. 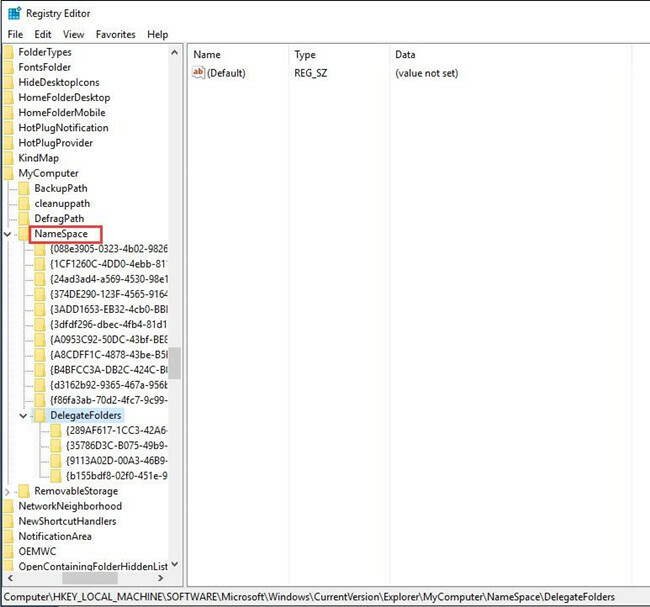 Step 5: Change the target to C:\Windows\explorer.exe /n, /e, [location of your folder]. For example, open the explorer in C:\Users. 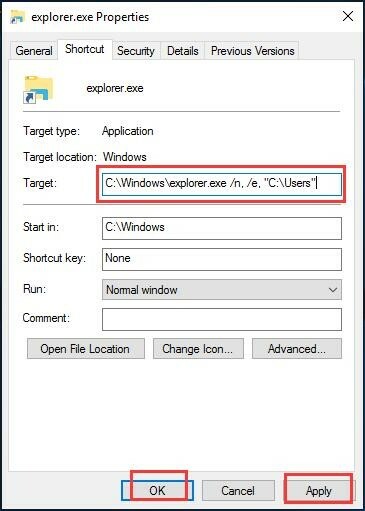 Click Apply and then click Ok.
Then you can double-click to open the explorer.exe folder, then you can see you enter the Users interface. 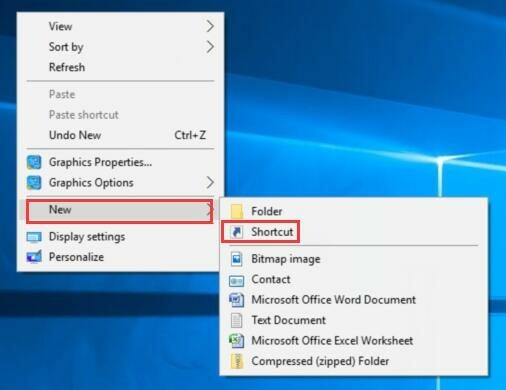 In Windows 10, there are several different ways to change your settings than Windows 7 and Windows 8, you can trough Settings, Control Panel and Search. Most of the settings you want to change can be found in the Settings. 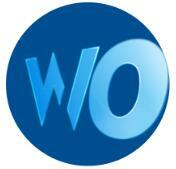 But when you are more familiar with Control Panel, you may usually want to use Control Panel to change settings. In the following post, you can learn how to add control panel to This PC to use it more often. 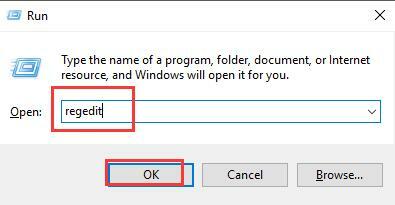 Step 1: Click Windows + R and then type type Regedit in it, and then click OK. Step 3: right-click the NameSpace to locate New, and then click Key to create a new key. Then press Enter to finish this step. Step 5: Close the Registry Editor, open This PC and right-click All Control Panel Items, click pin to quick access. Step 6: Get to open File Explorer and you can find Control Panel exists in your File Explorer. The navigation panel is on the left of the File Explorer, it contains Quick access, OneDrive, This PC and Network that enables you to access one of them quickly. But if you don’t want to show it on your File Explorer, follow the next steps can help you hide it. Step 1: Right-click Start menu and choose File Explorer. Step 2: Navigate to the View tab on the Ribbon. Step 3: Click Navigation pane on the left, and uncheck Navigation pane. Conclusion: The post teaches you how to change Windows Explorer default folder, how to add control panel to Windows 10 file explorer and how to hide the navigation pane in Windows 10 file explorer. After reading this post, I hope your problem will be solved.